Little Cayman, the smallest and least developed of the three Cayman Islands, is located 80 miles northeast of Grand Cayman. Its 10 flat square miles of unspoiled surroundings are a nature lover's dream, complete with more than a dozen secluded beaches on a mostly undeveloped coastline, lagoons, mangrove forests, salt ponds and tropical forests strewn with orchids. The island attracts divers of all levels (Bloody Bay Wall is a top dive site), and snorkeling is also among the world's finest. Increasingly, visitors also come to enjoy the privacy, quiet and timeless beauty of the island's unspoiled natural splendor, and return to simpler times. Bird watching, especially in winter, is outstanding. Fly, lake and deep-sea fishing are also popular. Little Cayman was the site of the Cayman Islands' first settlement when turtle fishermen set up fishing camps in the 1600s. 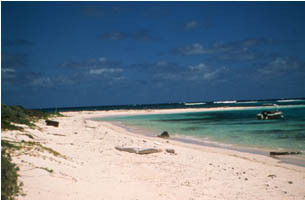 Raided by a Spanish privateer and abandoned in 1671, Little Cayman was not settled permanently until 1833 when a few families established Blossom Village. By the early 1900s, several hundred lived on Little Cayman, exporting phosphate ore, coconuts and marine rope. In 1932, a hurricane destroyed much of the island and although no lives were lost, many left. Today, the population is just over 100. Nature tourism - Today the Island is a retreat for discerning visitors to enjoy the superb natural world where the nature tourism project (funded by the Foreign Office Environmental Fund) has highlighted heritage sites, including historic houses, cultural sites and areas of natural interest. 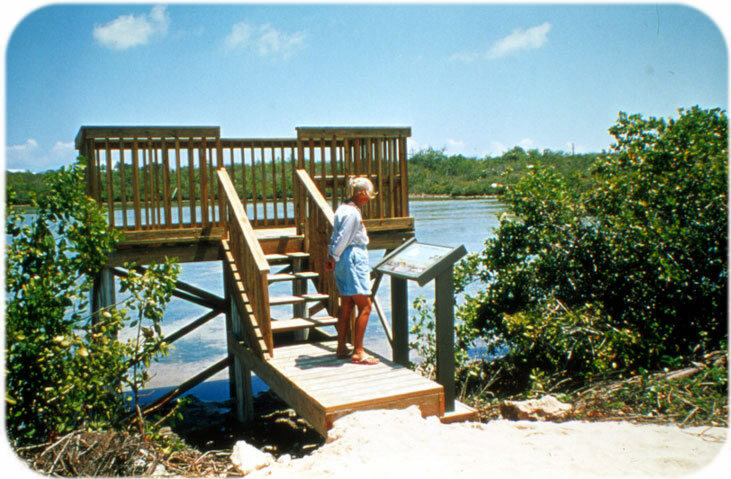 Over 40% of the land area of Little Cayman is covered by pristine wetlands with mangrove-fringed lagoons and ponds. Raised viewing platforms on these sites, each with an interpretative enamel panel, allow observers excellent bird watching. One such area of natural interest is the National Trust Booby Pond Nature Reserve,the only RAMSAR site in the Western Hemisphere. Photographs are copywrited to Patricia Bradley, Yves-Jacques Rey-Millet, Bruce Hallet, Karen and Ian Stewart, Skip Harper and Max Hillier.